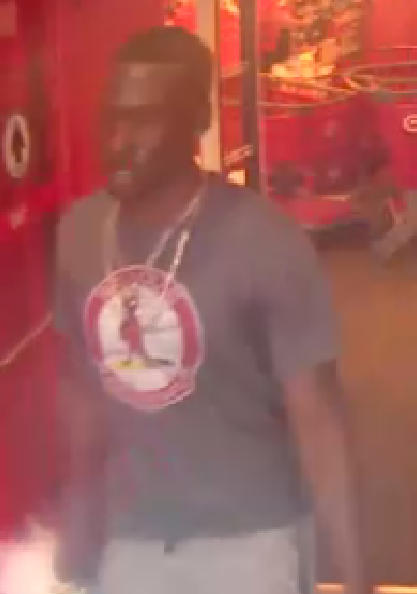 Franklin Police want to identify this suspect who, at around 6:00 pm on May 18, broke into the cars of two different victims while they were inside a fitness center at 1113 Murfreesboro Road. In both cases, car windows were broken to steal wallets and purses that were left in the vehicles. A handgun was also stolen from one of the vehicles. Minutes after the burglaries, stolen credit cards were used at the Cool Springs Target. Information on the identity of this suspect is worth up to $1,000 with an anonymous call to Crime Stoppers: (615) 794-2513. Thieves know that many people who visit fitness centers, parks, and daycares leave valuables behind. Suspects are often in place and watching as victims arrive. When they see you get out and go in empty-handed, or see you stow valuables in your trunk and walk away, they quickly move in, and break in. Franklin Police warn gym, park, and daycare patrons to be vigilant.